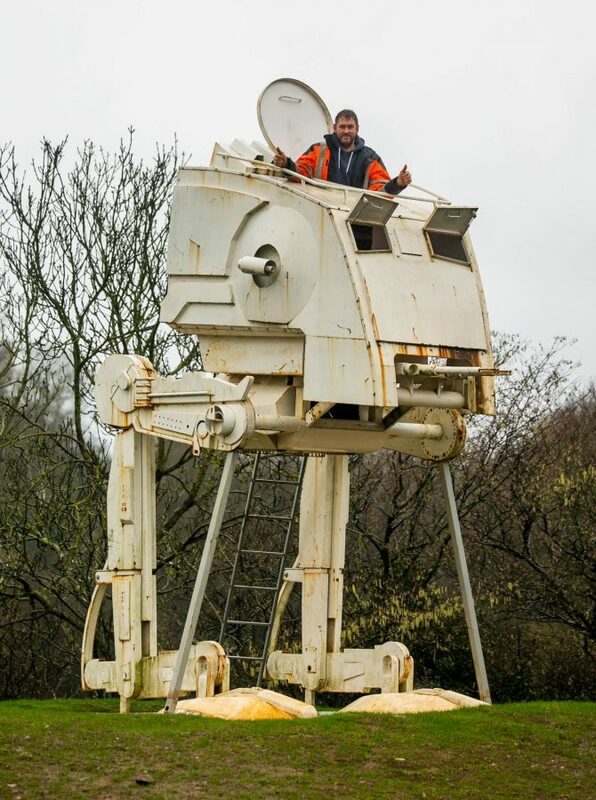 A Star Wars fan has been granted planning permission for a £12,000 full-size Scout Walker beside a busy A road – ending a battle with his local council. 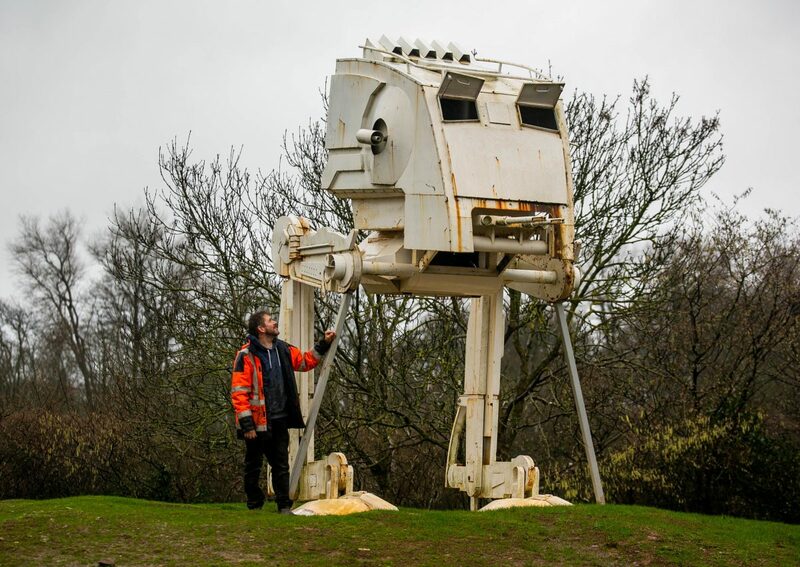 Paul Parker installed the life-size figure of an AT-ST, which featured in Return of the Jedi, in his field alongside the A38 near Ashburton, Devon. 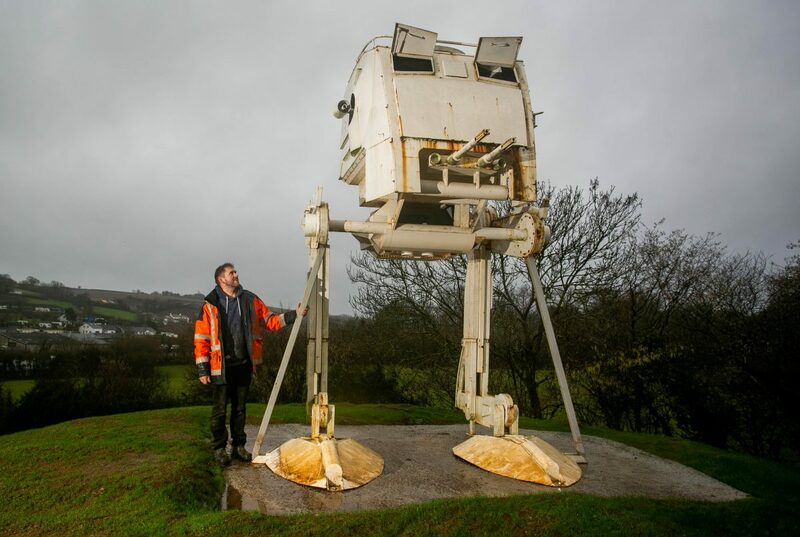 It won the hearts of locals but Teignbridge District Council gave him 21 days to take it down, despite Highways England ruling it was not a distraction to passing motorists. The statue, erected in November, has now won retrospective planning approval and can remain on its spot for the next 10 years. Paul, who thanked his supporters, said he wanted to create a local landmark similar to the Willow Man beside the M5 in Somerset. The impressive model is made of steel and took welder-fabricator Dean Harvey 400 hours to build as a climbing frame for his daughters four years ago. He gave it to Paul now his daughters are older. The AT-ST is best remembered by fans for its appearance fighting the Ewoks at the Battle of Endor in Return of the Jedi. It could stay for longer than 10 years if planning permission to extend its stay is sought, council documents state. In a council planning document the installation was branded as a “publicity stunt”. Mr Bryan added that it has “an adverse effect on the landscape…further eroding the rural character of the Devon countryside”. But the application received more than 30 letters in support from local residents and drivers who pass by the figure. Supporter Mark Lowrey said: “When I first saw this I was greatly amused and impressed that this was on view as I drove along the road towards Ashburton. “I think it is a great asset in this often pressured busy lifestyle most people lead and a much needed point of interest for the town. “Even on my first encounter I would not say I was distracted from driving any more than say ‘looking for a road sign’. 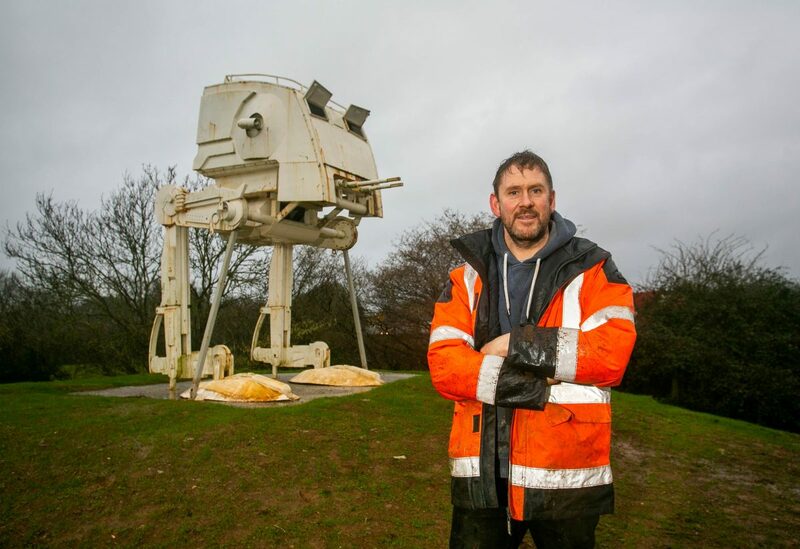 Sean Wilson wrote: “The Star Wars figure is almost universally recognised and has been generating a lot of excitement among visitors and local residents. It has generated publicity online, in newspapers and on TV. This article originally stated that the statue is situated near Exmoor. It is actually situated near Dartmoor.